Chinese Media Banned from Writing About Bitcoin And Others Which Are Already Blocked Are Facebook, Twitter, Google Plus & Many More. The Chinese authorities have ordered local media not to cover the upcoming Global Bitcoin Summit in Beijing and not to promote the digital currency, as China continues its crackdown on the virtual currency. The digital currency conference is scheduled to be held on 10-11 May, and the media have been ordered to ignore it, according to censorship instructions leaked online by California-based media outlet China Digital Times. "The Global Bitcoin Summit 2014 will be held on May 10-11 in Beijing. All websites are asked not to participate in or report on the summit," the instruction reads. "Do not hype bitcoins. All reporting on bitcoins must henceforth accord with the specifications of financial regulatory agencies." On 6 May, the CEOs of China-based digital currency exchanges OKCoin, BTC China, BtcTrade, CHBTC and Huobi, said they would not attend the conference to comply with state policies and regulations. In December, the People's Bank of China banned financial institutions from handling transactions in bitcoin, as the central bank was concerned about financial stability amid soaring volumes of digital currency trades in the country. Subsequently, a number of banks announced that they were withdrawing support for digital currency exchanges. As a result, smaller exchanges such as FXBTC and Linkcoin have shut down. The Industrial and Commercial Bank of China (ICBC), the largest bank in the world by total assets and market capitalisation, earlier banned customers from using accounts with the bank for transactions in digital currencies. 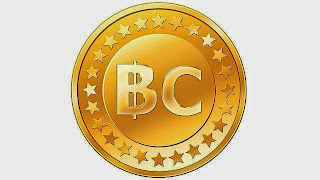 "To protect property rights and interests of the public, prevent money-laundering risk and safeguard legal tender status of RMB, any institutions or individuals are not allowed to recharge and withdraw funds for Bitcoin and Litecoin transactions, buy and sell transaction recharge codes or engage in other related activities with ICBC accounts, and they shall not transfer relevant transaction funds via ICBC accounts, either, all effective immediately," ICBC said in a statement dated 8 May. BTC China had suspended yuan deposits from the Bank of China, after halting local currency deposits to accounts at China Merchants Bank. BTC China is the biggest Chinese bitcoin trading platform and it currently handles more than 75% of bitcoin trades in yuan. Change is afoot in China. Its leaders have promised a decisive role for markets in the huge economy, and recently lifted a 14-year ban on games consoles. But in many areas, there's still a long way to go. Try using Twitter (TWTR), for example. Too bad! The social media platform can't be accessed from within the so-called Great Firewall of China, a censorship project operated for decades by the Communist Party. Thousands of websites cannot be viewed inside China either, but social media platforms draw special attention from censors. Related: Why did China force The Big Bang Theory offline? China turned out the lights on Facebook (FB, Fortune 500) in 2009, and there are no signs that Beijing plans to restore access to the U.S.- based social media platform. Some analysts trace the ban to riots that broke out in July of that year between Muslim Uighurs and Han Chinese in the restive western region of Xinjiang. But others also cite a protectionist commercial motive. China-based social media sites are allowed to operate in the country, which helps to promote the domestic tech industry. Still, these platforms are heavily censored. Domestic operators accept this as a fact of life, while western tech firms are much less likely to give up control. Chinese regulators allow only 34 foreign films to be shown in theaters each year, severely limiting access to the latest Hollywood blockbusters. Approved films still face the heavy hand of government censors, who cut anything the Communist Party considers offensive or subversive. Chinese audiences love the slimmed-down foreign films, and Hollywood is eager for regulators to expand their quota. Despite the commercial advantage it gives them, Chinese filmmakers are likely to continue to bump heads with Beijing over censorship. China heaped praise on Taiwan-born director Ang Lee when he won the Academy Award for Best Director in 2005. His film, Brokeback Mountain, was never shown in China. Beijing outlawed gambling in 1949, and casinos are not allowed to operate in China. Yet many Chinese have an inclination toward games of chance, a tradition that dates back thousands of years. Today, the blanket ban doesn't stop entrepreneurial Chinese from setting up underground gambling operations and private lotteries. The policy has also given rise to a ring of casinos that operate just outside Beijing's reach. The most notable of these territories is Macau, which boasts a casino industry that is seven times larger than Las Vegas. Beijing blocks access to thousands of websites at any given time, including social media platforms and websites that host Indecency. Search results and social media chatter are also censored, forcing Internet users to come up with a clever alternate language to discuss news or historical events like the Tiananmen Square protests and crackdown. The massive censorship project has been dubbed the Great Firewall of China, and using a Virtual Private Network or secure proxy are the only ways to access forbidden websites. China's General Administration of Press and Publication screens all books before publication in China, and censorship is standard procedure. Critical talk regarding human rights, Tibet or the Communist Party is off limits. Reporting on the wealth of Chinese officials is also forbidden. Publishers that skirt the rules are quickly shut down, leaving authors with a choice: Agree to censorship or forfeit access to 1.4 billion potential readers. Books are often smuggled into China from jurisdictions including Hong Kong, where publishers enjoy more freedom. Bookstores in the city overflow with works on everything from President Xi Jinping to the devastating Chinese famine that killed upwards of 45 million people during the Great Leap Forward. Facebook and Twitter aren't the only social media platforms blocked in China. Chinese users are unable to access Snapchat, either. Youtube is also blocked. As more Chinese banks have moved to close bitcoin trading accounts this week, online platforms for the virtual currency's transactions are struggling to survive. Industrial and Commercial Bank of China on Thursday said it had decided to bar trading activities related to bitcoin. 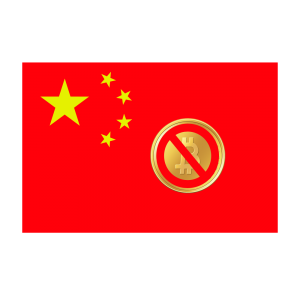 The previous day, Agricultural Bank of China, China Guangfa Bank and Shanghai Pudong Development Bank all announced that they had banned customers from using accounts to trade bitcoin. Announcements posted on their websites said that any institution or individual is not allowed to use accounts opened in the bank for deposits, withdrawals and transfers of funds for bitcoin and litecoin trading. This is aimed at protecting the property rights and interests of the public, maintaining the legal currency status of the renminbi and preventing money laundering risks, the statements said. If customers break the rules, the banks will suspend or shut down their accounts. Bitcoins, stored in a virtual wallet, can pass from person to person around the world in secret, allowing users to remain anonymous, bypassing both banks and banking regulators worldwide. As the crypto-currency has the potential to be exploited for fraud and presents high risk investment opportunities, it has aroused controversy. The bans followed a warning from Chinese regulators in December. Five government departments including the central bank cautioned people on the risks related to bitcoin and demanded financial and third-party payment institutions not engage in transactions involving the virtual currency. According to statistics released by Huobi, one of the leading bitcoin exchanges, transactions have dropped monthly since December. In April, the price of bitcoin decreased by 30%, while the transaction volume fell by 40% on the previous month. Five leading Chinese bitcoin trading exchanges, including BTC China, Huobi and OKCoin, released a statement on Tuesday, promising to restrain from excessive speculation and cooperate with regulators. Bitcoin transactions on these five exchanges take up more than 80% of the total Chinese market. "If China maintains tough regulatory policies, the price of bitcoin will definitely keep dropping," said Du Jun, co-founder of Huobi. It is a matter of urgency for Chinese bitcoin trading platforms to speed up overseas expansion. "We are developing some overseas platforms right now," Du said. Last year, China became the most active bitcoin market in the world. Exchange platforms have also attracted many international investors. He Yi, OKCoin vice president, said his company started tapping into the overseas market at the end of 2013. "But it does not mean we are giving up on the Chinese market. Going global was one of our original plans," he added. The restrained bitcoin trading service in China has affected the virtual currency on the global market. According to statistics released by Blockchain, a popular bitcoin wallet, the global market value of the virtual currency has slumped to US$5.6 billion from a record high of US$13.9 billion in December. In February, Tokyo-based Mt Gox, once the world's largest bitcoin exchanges, suddenly shut down after hundreds of millions of dollars worth of bitcoin was stolen following a number of cyber attacks. Overseas expansion is not easy, but insiders regard it as an opportunity. Li Qiyuan, CEO of BTC China, said more exchanges may close down in the future. "The market will select the superior and eliminate the inferior. Only professional exchanges may survive," he said. People like Li still have confidence in the market despite regulations being adopted by countries worldwide. "Bitcoin does not belong to China or America. It is a global digital currency. It will survive as long as countries allow trading," Du added. Having failed miserably in the "control" of capital outflows from the Rupee (via Gold), the India government (following a Reserve Bank Of India advisory) has raided one Bitcoin seller and issued a warning cautioning citizens against acquiring and trading virtual currencies. As VentureBeat reports, the RBI did not outright ban the currencies, but it slammed them as risky and potentially illegal. On Thursday, the "Enforcement Division" raided the premises of Mahim Gupta who provides trading platform through his website - buysellbit.co.in - finding it in clear violation of Foreign Exchange Management Act (FEMA) rules. Whether smuggling gold or utilizing Bitcoin, it seems the government is fighting a losing battle...cue confiscation? Several Bitcoin exchanges in India have suspended operations amid fears they could violate anti-money laundering and financial terrorism laws. “We have found that through the website 400 persons have recorded 1,000 transactions that amount to a few crores of rupees. We are gathering the data of the transactions, name of the people who have transacted in the virtual currency from Gupta’s server that is hired in the US. At present, we believe that this is a violation of foreign exchange regulations of the country. If we are able to establish money laundering aspect then he can be arrested,” said a top ED official. As per sources, a separate raid was also conducted in Satellite area of the city, however, the person the investigation agency was looking for could not be found. “When we reached his office, he was not there. We have sealed the premises,” the official added. Sources also added that there are a handful of entities that provide trading in the virtual currency in India. “I think there are only five entities. Of these, we believe two are operating from Ahmedabad. We believe that they have channel of agents or people who promote the use of such currency but entities that provide online platform are few,” official said. Perhaps it is time to confiscate all the gold, computers, and internet access for anyone not invested in stocks? Aussie Bank Asks "Will Bitcoin Replace The Dollar?" Bitcoin is rapidly becoming part of the everyday lexicon. Following David Woo's investigation, National Australia Bank's Emma Lawson looks at its creation, use, and quality as "currency," and find that Bitcoin meets most, but not all the conditions required to be a currency. Lawson concludes Bitcoin may not be the most efficient monetary system, given the costs to create, and that the supply set-up can be seen as both an advantage (hyperinflation is not possible) but also a disadvantage (there are conditions which may create deflation). But, if enough people believe in it, and use it, it may be here to stay as a payment system. Simply put, its success (or failure) will depend on establishing trust and adoption. Noun: a system of money in general use in a particular country: the fact or quality of being generally accepted or in use. “Bitcoin” has entered the popular lexicon, challenging our idea of what makes a currency, currency. The definition of currency above does not mention the physical characteristics of the same but that it must be generally accepted. There have been different forms of currency over the centuries, but what is important is that users believe it to be currency. Banknotes themselves were introduced in China in 118BC as a promissory note. Marco Polo, in the 13th Century recorded that paper bark was used in the place of gold or silver. The first colony in New South Wales used rum for currency, in the absence of printing presses. These examples show that currency or money can be different things, they are not static and they do not have to be physically valuable in themselves (like gold). As such, Bitcoins can indeed be currency, as could anything labelled as such. As long as you believe it is. Firstly, what are crypto-currencies? Bitcoin is one of around 50 crypto-currencies, albeit the most well-known, traded and first established in 2009. These are de-centralised digital (or electronic) medium of exchange. They are not backed by physical assets but rather peer security. Primary issuance of Bitcoin is determined by computer algorithms which require large amounts of computer power, to validate sequences (blocks) and proof-of-work. As more “miners” participate in calculating blocks, the required computer power and sequence of blocks increase; thus not allowing an increase in the speed of Bitcoin issuance despite more mining. Participants become Bitcoin miners to claim transaction fees and initial Bitcoin. Indeed one claimed benefit of Bitcoin is that in a world of quantitative easing, this alternative is designed not to increase above the scheduled path. Bitcoin are created at a “decreasing and predictable rate…issuance halts completely with a total of 21 million Bitcoins in existence." The secondary market for Bitcoin is where most participants will acquire them for their digital “wallets” i.e. accounts. The price is determined on exchange via demand and supply, similar to the broader FX market. At present there are eight dominant exchanges but there have been more and the number changes (Chart 1). In a study of 40 Bitcoin exchanges, 18 were found to have closed and taken customer accounts. Popular exchanges were also found more likely to experience security breaches2.Prices may also vary between exchanges. The most popular in the USD market is Mt Gox, which constitutes 52% of USD volume (based on the latest month average volume); closely followed by Bitstamp at 46%. Trading of Bitcoin is most popular in CNY, at 46% of the total Bitcoin market by currency, closely followed by USD at 45%, EUR takes up a small percentage at 4%. This makes the China Bitcoin exchange the largest available; it makes up 47% of total Bitcoin trading (Chart 1). The price on a singular exchange has been particularly volatile recently (Chart 2). There have been calls of a bubble in the Bitcoin price. The price tracked an average of $5.44 in 2011 and $8.29 in 2012 but has risen exponentially from October 2013. It peaked at $1200, and has dropped back to $575 more recently, after regulatory changes in China. The fact that there are multiple exchanges but only 1723 registered businesses worldwide advertised as using Bitcoin (no doubt there are more in reality), suggests there may be something in the idea that there is currently more people buying Bitcoin in anticipation of an increase in Bitcoin value, rather than buying Bitcoin in order to use them as a payment method. That strongly suggests a bubble in the present value of Bitcoin. There are a number of qualities that a currency must have to be effective and sustainable. The NSW colony’s use of rum fit the bill by being recognisable but it arguably wasn’t durable when holders got thirsty! Bitcoin has certainly captured the attention of markets and the media, but if it is to have longevity, these tried and tested qualities must be in existence. These are necessary but not sufficient conditions to qualify as currency. Durability: the unique feature of Bitcoin is that they are electronic, and not physical money. The concept of electronic funds has grown, and examples of electronic units of exchange have been around for some time in the shape of, arguably, credit cards, but also PayPal. Stories of throwing the hard-drive at the local tip aside, crypto-currencies are durable in their electronic records. Computer back-ups are recommended. Portability: similar to durability, with an electronic version of currency, the portability of Bitcoin is less of an issue. As long as you have a smart-phone. Clearly there are some issues here, with access to smart phones or portable technology not universal. There may be restrictions on use by age or location for example. Anyone trying to just make a mobile phone call in a remote area in Australia could perhaps attest to that. Fungibility: or the ability to exchange Bitcoins for other Bitcoin without cost. For example, swapping a $10 note for two $5’s. Bitcoin are fungible, although as they come in only one denomination it is less of a concern. Divisibility: the ability to split a whole Bitcoin. This is possible. It is this ability to split into fraction of Bitcoin that the proponents of the crypto-currency believe will solve the problem of there being a finite amount ever minted. They believe that when there is expanded use and demand for Bitcoin, combined with a limited supply (at 21 million), that Bitcoin will become increasingly divided or fractionalised. The clear flaw of that plan is the concern regarding deflation. If one Bitcoin can provide the owner with increasingly more goods or services over time (ie. demand outstrips supply for Bitcoin, not goods and services), that means the price of goods and services are falling. This tends to dampen consumption. This may occur only when the final Bitcoin is minted and if demand for Bitcoin use continues to rise. Scarcity: Bitcoins are scarce as they require expensive and time-consuming computing resources to create. Hacking or counterfeiting is claimed to be prevented by peer pressure or game theory to prevent an invalid increase in minting. This has not been entirely successful, with breaches in June and August 2011 and April 2013. The security features are being adapted over time to address problems as the system matures. The scarcity can also be considered a flaw. The supply of Bitcoin is inelastic. There are periods of time at which an increase in the money supply is warranted, to meet demand and then cyclically reduced. Bitcoin does not allow for that. The current spike in Bitcoin is an example. Demand for it has risen (arguably on speculative grounds), and supply cannot match it; hence the rise from $100 to $1200 over four months. One factor is that there are a number of alternative crypt-currencies. Bitcoin is the dominant system now but that is not to say that it will remain that way. Crypto-currencies may stay around and thrive as a payment system but not Bitcoin. Recognisability: there is a growing awareness of Bitcoin as a payment system. But, its use is limited. Some might suggest that its recognisability at present is concentrated on its own price, rather than a medium of exhcange. The Bitcoin website shows 1723 sites worldwide that advertise their use. In Australia, there is a café in Adelaide, a website services firm in Melbourne, a juice bar in Sydney and a currency exchange on the Gold Coast. There are likely to be more than that and it is growing. But it is not yet universal. Mention Bitcoin at present and many would discuss its use as a store of value before its use as a medium of exchange. And this takes us to the other properties of being a currency. In a discussion about Bitcoin with a computer engineer I asked “how is it created?” and had the spiel about computing power, energy and the resources needed to identify prime numbers. Ok, that’s great, I may never understand the maths but I get that it requires substantial resources to compute. The next question “so what does it produce that is valuable?” answer – nothing. Bitcoin are valuable because they exist, because people believe that it may be so. It’s a self-fulfilling prophecy. There must be trust in the system, for Bitcoin to retain any value. This is how it differs from other payment methods like credit cards and PayPal, which have a pool of funds backing them. Crypto-currencies may be cheaper as a payment method because they do not have that asset backing, but it thus relies more on trust than alternatives. Bitcoin comes about as a response to quantitative easing and concern regarding central banks’ printing money. But what it cannot replicate is the revenue generating abilities of central banks and the governments that control them, or their inflation fighting credentials. Neither does it have the centuries of history that gold is backed by. 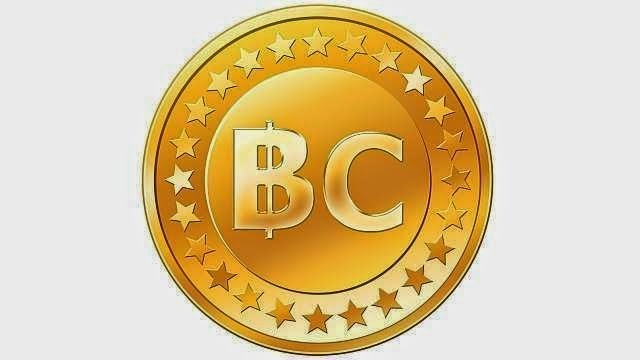 Bitcoin will work as a medium of exchange as long as participants believe in the security of the triple-counting system and peer-to-peer security. But this takes time. Given this, we shall likely not know for a prolonged period of time how successful the crypto-currency experiment will be. The other condition that Bitcoin needs to be successful is adoption. It needs to become broadly used and accepted. Its (short) history so far has mostly encapsulated illegal activity characterised by the deep-web site Silkroad; subsequently shut-down. As already noted, there are only four businesses in Australia registered on the Bitcoin User site showing they accept it as a medium of exchange. The connection between Bitcoin and illegal activity will have to be broken before it becomes widely trusted and accepted. Again, this takes a long time to establish. So while we cannot say that Bitcoin will definitely not become a medium of exchange, what we can say is that it will take a prolonged period of time to prove. Australia – RBA’s Stevens: “maybe there will be a world in which currencies based on some computer algorithm to limit supply as opposed to physical gold or something. There have been many such currencies through the ages…the ones that will survive will be the ones that hold their value which is why we have an inflation target which we’re hitting.”. China’s PBoC have banned the use of Bitcoin by commercial banks and the clearing of payments in Bitcoin by third-party providers. China has been the most vocal and proactive in preventing the use of Bitcoin as an alternative to local currency in the major nations using (or investing in) Bitcoin. With the Chinese market for Bitcoin the largest so far, this may be a natural response to protect the central bank’s authority on the money system. Needless to say, the price of Bitcoin in CNY fell sharply on the latest announcement (18 December 2013). The Swiss have taken a slightly different tack, by preparing to declare Bitcoin as a foreign currency. This ensures that it is not a domestic alternative but that it can be tracked and must be declared so as to meet tax and money-laundering laws, but not banning it altogether. Germany has acknowledged its existence by declaring it a “unit of account” for tax purposes. It is not a foreign currency but “private money.” It now attracts a 25% capital gains tax. The EU banking regulator has warned on the use of Bitcoin, in regards to theft, price fluctuations and the lack of central bank backing or security on the same. This has been followed by the French Central Bank which said its use is highly speculative and poses a financial risk to users. Dutch Central Bank President Wellink noted that Bitcoin hype was akin to the 17th century tulip bubble (but didn’t result in a flower at the end of it). The Dutch central bank has warned against their use as they are not regulated and there was no underlying liability. There is no deposit guarantee scheme. Thailand was the first country to ban its use as it was ruled not to be a currency. In November, the US held a Senate hearing on the use of crypto-currencies. Much of the discussion was positive and upheld their use as “legal means of exchange’” There are ongoing concerns about its use in illegal activity. In a world that is used to being bailed out when the financial system fails, Bitcoin’s decentralised system is a benefit to those in favour of limited government control, but is a distinct disadvantage to those who are used to the final bill being picked up by governments. If the present leap in Bitcoin price proves to be a bubble, it will be the individuals picking up the tab, not governments. There is no deposit scheme or any “too big to fail.” While investment in Bitcoin is small, that poses individual risk. If Bitcoin use becomes much broader, that becomes a risk to financial stability. Caveat emptor. We have established that Bitcoin meet most, but not all the conditions required to be a currency. The rest may follow, but that it will take a very long time to be proven. Its success (or failure) will depend on establishing trust and adoption. Bitcoin may not be the most efficient monetary system, given the costs to create, and that the supply set-up can be seen as both an advantage (hyperinflation is not possible) but also a disadvantage (there are conditions which may create deflation). But, if enough people believe in it, and use it, it may be here to stay as a payment system. However, there is a large red flag saying buyer beware at current levels of price and use. With no macroeconomic backing, it is impossible to determine fair value for Bitcoin aside from demand and supply – but the chart of AUD/BTC (Chart 3) above shows, BTC’s trajectory is not one of a stable currency.